Anawangin Cove is a crescent shaped cove with a pristine white sand beach with the unique and unusual riddle of tall pine trees flourishing round its vicinity. Capones Island and a couple of other smaller islands (the Camera Islands) lie a few kilometers from the shores of Pundaquit, Zambales. The Camera islands are 2km offshore and Capones is 3 kilometers farther (5.2 km offshore). Capones and Camera are known for their white beaches, speckled with colorful crushed coral. Clear turquoise waters held us spell-bound. High rock cliffs beckon rappellers. Capones is known for an old Spanish-era lighthouse that brings visitors back in time. 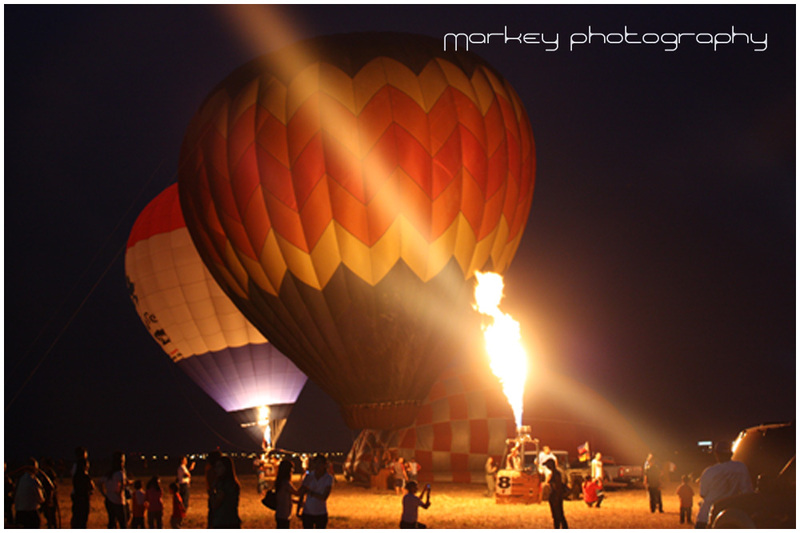 Note: We also arrange group trip on your requested date, just text or email above contact info. 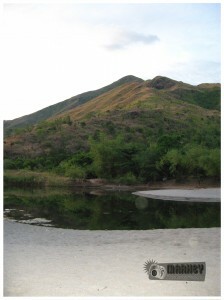 Palauig became popular as one of the Tourist Destination because of its Mt. Tapulao. But there’s more than just Mt. Tapulao Palauig can offer. Aside from its beaches and the scarborough shoal, Palauig is fortunate to have a beautiful island name Magalawa and it is now on the rise after its long sleep. Truly another pride of Palauig next to Mt. Tapulao and is hoping to be one of the top tourist destination in Zambales and of the Philippine Island. 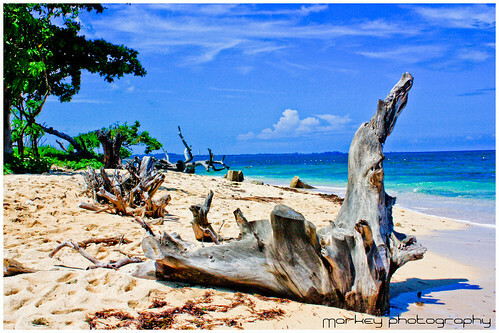 Magalawa Island with its creamy white sand beaches and prestine waters is perfect for swimming, water/sand sports, boat riding, jetskiing, scuba diving, snorkelling or just relaxing on the beach amidst the crystal clear waters and white sand. 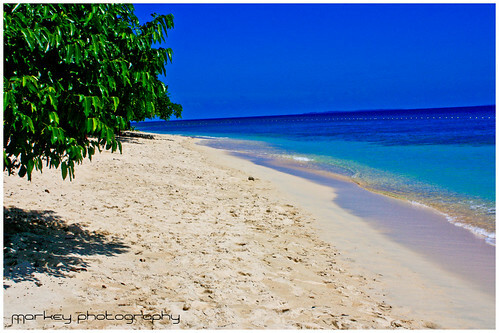 Another attractions of Magalawa Island are coral reefs, magroves and abundant water resources . is planted in this area, so the people resort in buying everything they need except fish. Coco trees and century trees are abundant also. In the early century, MAGALAWA was apart of sitio Luan, Barangay Lipay. The said sitio was bi-sected by a small body of water crossable by people wherein the current flows southeast during high tide and northward during low tide. The current that runs n this area is about to 2 to 3 knots. In that situation erosion made this body of water wider and wider, which later on became a sea. This came when this part of the land was isolated far from sitio Luan, so the inhabitants called in their native word “MAG-LUWA” that means “about two places”. This word passed through generation to generation and was later changed to “MAGALAWA”. 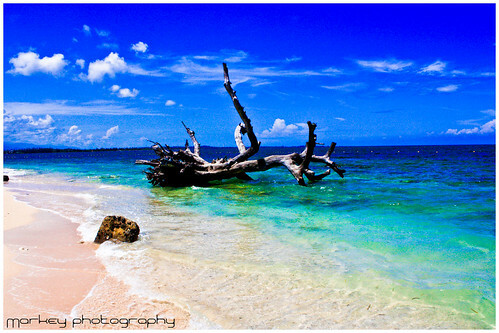 I’ve been wanting to go to Potipot Island ever since I heard about the virgin beauty of the island. 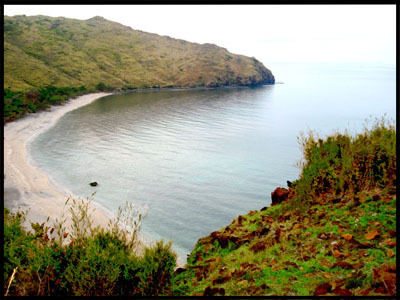 Potipot Island is located roughly 1 km from the mainland shore of Uacon, Candelaria, Zambales. Uacon is about 240+km from Manila by road. 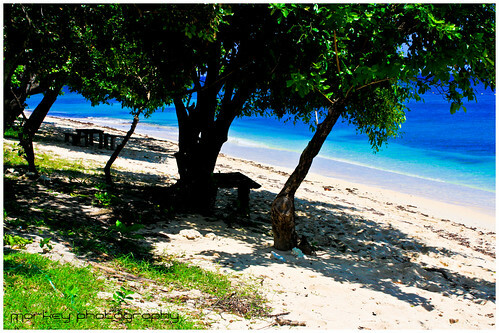 Some of the attractions of Potipot Island are: its white sands that completely surround the whole island, the calm clear waters, its proximity to the mainland that allows visitors to reach the island in only 5 minutes by banca, the lush vegetation and trees that provide shade along the beach (and even on the water). The best time of the year to go would either be the very start of the summer months and early June. The months of April and May are peak seasons, it will be very difficult to book rooms and the island is very crowded during this time. 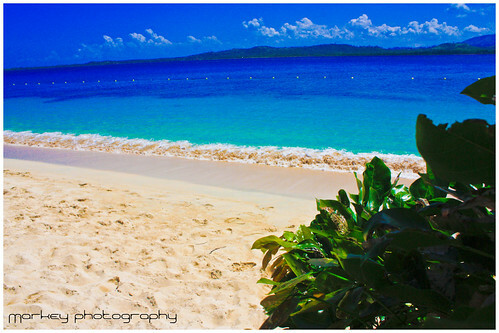 It tends to be very hot in the island during noon and early afternoon. Bring lots of drinking water, cap or sarong and sunblock. 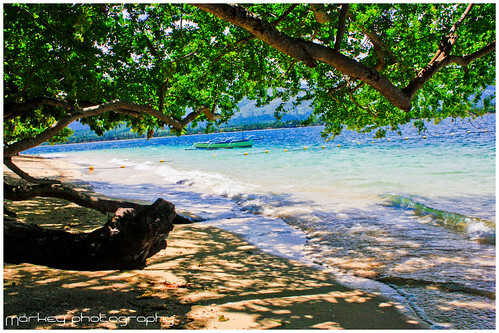 Though there are trees with branches extending to the water that give shade, bring a tent if you are staying in the island for the night. If you plan on chillin’ out by the shore, bring a hammock, books or magazines, playing cards, frisbees, an ipod and speakers (though we don’t highly suggest this since it might bug other people). 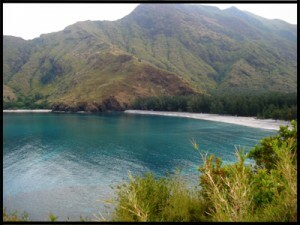 Potipot is also an excellent skimboarding destination. The almost powdery sand allows the skimboard to glide smoothly along the shore. 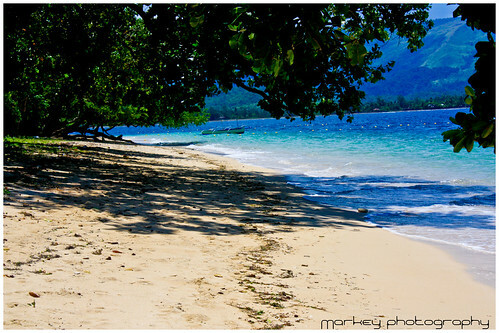 The island is nearly far from what they tag as the virgin island, there’s a rumor in town that the island is now owned by Gen. Abdane (one of the government official) and they are planning that Potipot Island will be the next Dos Palmas of Palawan. 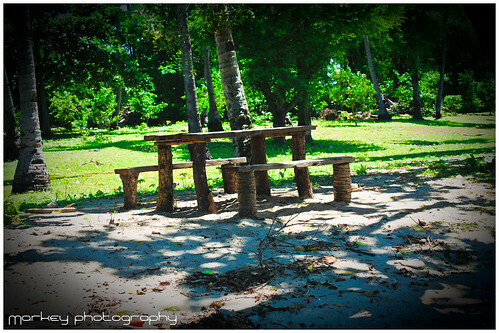 Tables and benches are available for people and now you can rent a cottages or nipa huts for overnight stay. At night, the island is run by a generator. With all the changes in the island Potipot is still worth a visit. My side trip in Capones Island is such an amazing adventure. The first time that I visited a lighthouse was in Macau and from there on I promise my self that I will visit more lighthouse in the future, this is because of the magnificent beauty on top (over looking the whole island, a scenic moment that you only see in postcards). The light from the Faro de Punta Capones, or Capones Island Lighthouse, has been used for more than a century to search for and guide ships into Subic and Manila Bays. The west coast of Manila has regular runs of shipping heading to and from the Philippines northern neighbors. The lighthouse is perched 53 m above sea level. The actual lighthouse tower is 15.3m high and the views from up here are sensational. It took seven (7) years to build the Capones Lighthouse and it went into operation in 1890. Now a days the lighthouse is in need of some tender loving care, the caretakers house which forms part of the lighthouse structure looks very decrepit and in urgent need of repairs. The light is powered by the sun, with solar cells in charge of ensuring safe passage to passing ships. If you get out to Capones Island make the effort and climb to the Lighthouse, I know it is a bit of a hike from the beach, but its all worth it. How do I get to Capones Island? As I’ve said a while ago Capones Island is just a side trip so you could refer to my trip to Anawangin because we just add a little amount to our boatman(bangkero) just to get into the island. Capones Island does not have any infrastructure, no resorts, no hotels, no shops, just you and the beauty of Capones Island. So I strongly suggest that you should camp on Anawangin because there’s no trees on the shores of Capones Island and you might as well enjoy the beauty of the camping scene in Anawangin. In San Antonio you can have your early breakfast, lunch, or dinner (depending on your trip) and also you can buy food that you can cook in the market near the bus stop. After that you will take a Trike to Pundaquit beach (about 20min. – 30min ride). 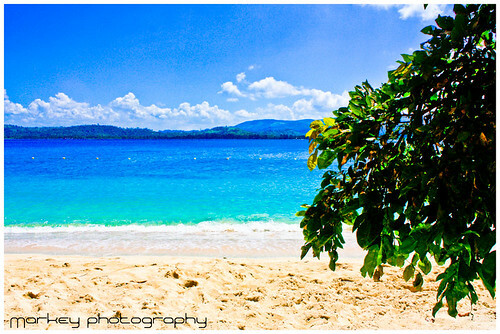 From Pundaquit beach you will be riding a boat going to Anawangin. Once you arrive you are now free to relax and explore the place. 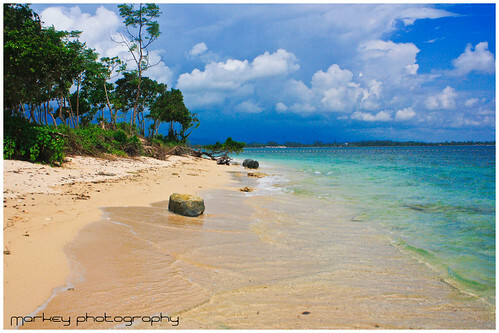 After enjoying the beautiful scenery you are now ready to leave the island? By the way there is no boat on the Island so better ask the boat man to pick you up (anytime you want)so you could go back in Pundaquit beach. (Just a tip)You could also ask the boat man to tour you in any near by island. From Pundaquit beach you will ride again trike goint to San Antonio bus station. San Antonio bus station, again you will be riding any bus going to Manila (Caloocan, Cubao, Pasay Route). I hope this simple overnight Itinerary going to Anawangin can help you all. 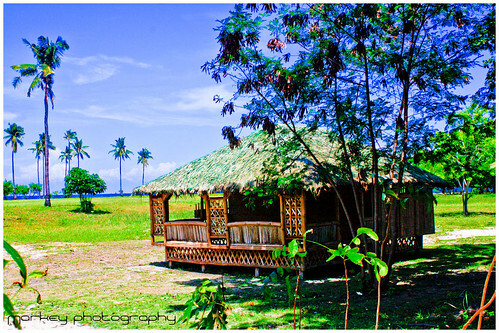 P200+ – Per Person per Boat (4-6pax/boat)(Pundaquit – Anawangin – Pundaquit) more or less this will cost you 800 to 1000.